French energy policy calls for ambitious growth in the biogas sector, with the quantity of biomethane fed into the public grid targeted at 8 TWh per year by 2023. Although today biomethane in France serves predominantly as vehicle fuel, the domestic heating market, with its high share of gas heating, should see biogas growth in the future, provided consumer demand can develop and suppliers can emerge savvy enough to respond to that demand. Towards this end, we conducted qualitative interviews with some mixed-methods elements with French consumers in the South of France to explore their knowledge of and attitudes towards biogas as well as their preferences for specific product features of biomethane-based gas products. We found that today’s consumers have little knowledge of biogas production and feel uncertain and doubtful about products. They can name reasons, both environmental and financial, for and against biogas. They favor biomethane products from agricultural residues and biodegradable household waste, rejecting energy crops. In principle, they value local production by small suppliers, find ecolabels helpful, and look favorably upon extra environmental benefits accruing from the sale of biogas. However, consumers labor under misconceptions regarding the costs of biomethane production. Crafting communication strategies that address widespread consumer doubt and consumer perceived risk is the challenge suppliers face in order to allow consumers to make a well-based decision. Renewable energies play a decisive role in the fight against global warming. Among the different renewable technologies, biogas, a gas produced by microorganisms in an anaerobic process from organic materials such as energy crops or biowaste , stands out. This importance does not only stem from the fact that it can be stored easily and used for electricity production but it can also, after purification, especially the removal of CO2 and thus upgrading it to grid grade quality, be used to produce heat or as a vehicle fuel in existing infrastructures with established technologies [1–4], e.g., vehicles running on natural gas can use biomethane without any technical change. This is due to the fact that biomethane can meet grid operators’ specifications for natural gas. While electricity from wind turbines can also be used for heating, using biomethane is easier and more efficient, especially in countries with a large existing natural gas grid providing ready distribution to companies and households. This allows biomethane to access a broader portfolio of valorization pathways than can other renewables such as wind power or photovoltaics. Such broader access is an especially important advantage in the heating and vehicle fuel markets, where the percentage of renewable sources is much lower than in the electricity sector. To illustrate, in 2016, across the 28 EU member countries, the share of renewable energy in the electricity market stood at 30% and in the heating and cooling market at 19%, while in the market for transport fuel at only 7% . Thus, biomethane offers an opportunity to increase the share of renewables in two sectors where the need for action is most urgent and alternatives are not readily available. This opportunity follows a similar pattern in France, although renewables there play a less prominent role in electricity generation than on average in the EU-28. While 19% of electricity generation and 21% of heating and cooling in France in 2016 were derived from renewables, the share for transport fuel stood at only 9% . This imbalance is further highlighted by the gap between the actual gross final energy consumption of biogas in 2014 and the 2020 target volume. The gap is 444 million tons of oil equivalent (MTOE) for heat production, but only 167 MTOE for electricity generation . Moreover, France has only recently started to develop the biogas sector. To illustrate, consider that as of 2016, there were 17,662 biogas plants in Europe, 503 of which upgrade the biogas to biomethane and use it as a vehicle fuel locally or inject it into the public gas grid . The total number of biogas plants in Europe has grown by 50% between 2011 and 2016, equaling an annual growth of around 9%. The annual growth of the installed capacity of biomethane plants was even at 87% resulting in a more than twentyfold increase between 2011 and 2016 . About 40% of the biomethane plants (206) operate in Germany, which together with Sweden (61) and the UK (81), made up nearly 70% of the biomethane plants in Europe in 2016 [9–11]. As of August 2018, 63 French plants were in operation up from 44 as of end of 2017 and six in 2015 [12, 13]. The current injection volume would be enough to supply roughly 75,000 French households with heat . The main biogas substrates in the units that produce biomethane are sewage sludge, household waste, waste from the agricultural industry, and farm manure. Intermediary crops account only for a negligible part of total input . A study by ADEME sees the biggest future potentials in crop residues and farm manure . More than 800 plants are currently (2018) in the planning stage , as France’s energy policy has set ambitious targets for the injection of biomethane into the public grid. For 2018, the government has set a total injection target of 1.7 TWh, and for 2023, 8 TWh, of which 0.7 and 2 TWh are earmarked as biogas-based fuel for vehicles running on compressed natural gas, i.e., bioCNG . To evaluate the impact of this policy target on the French biogas industry, consider the fact that the 55 plants in the grid of GRDF in 2018 produced an average annual injection of 14.3 GWh ; at which rate, more than 550 plants would need to be constructed by 2023. Under certain conditions, biomethane plants in France are eligible to receive a feed-in-tariff which ranges from around five to 14 Eurocent (EuroCt) per kWh—levels considered generous in comparison to those in the German and Austrian markets where biomethane prices that plants can realize are below 8 EuroCt per kWh [3, 16, 17]. Consumers who use biomethane for heating or cooking are exempt from the gas tax (Taxe intérieure de consommation sur le gaz naturel) . Moreover, producers receive guarantees of origin (GOO) for the biomethane they produce. These GOO can be used to create green gas products targeted at businesses and consumers , as is already the case in other European markets. In Germany, for example, approximately 170 such products were being marketed to private households as of 2014 . Customers in the UK, Belgium, and Austria can likewise chose biomethane-based products. In Switzerland and Belgium, utilities have adopted a nudging strategy where they blend natural gas with biomethane and market these blends as their standard offerings [20, 21]. Only recently have French biomethane plants started injecting into the grid. In 2016, no biomethane-based green gas products were reported in the consumer market ; in 2017, one supplier was identified that offers a gas product containing 10% biomethane , and as of August 2018, there were three suppliers two of which offered a gas product with 10% French biomethane and one offered a product with 100% biomethane from Scotland . This slow introduction into the existing gas grid may reflect the effect of current energy policy for GOO, where biomethane producers selling GOO into the heating market only keep 25% of what they earn through the sale. In contrast, if the gas is used as bioCNG for vehicles, producers keep 100% of what they earn . These policies drive biomethane primarily towards the transport sector. Still, natural gas products rendered “CO2-neutral” through the purchase of carbon credits  are available in France, and the green electricity market is also developing. So, creating biomethane-based gas products could be an effective strategy for both biomethane plants and utilities to monetize the positive ecological characteristics of biomethane while growing the GOO market. Many studies from around the world have shown that consumers are willing to pay a premium for green electricity products [26–28], and there is reason to think this could also be the case for biomethane . Moreover, biomethane could enable gas suppliers to pursue a product differentiation strategy in what is otherwise a commodity market. Selling the green advantages of biomethane-based products could provide the leverage needed to entice customers to switch suppliers, a strategy of particular importance in the French gas market. While this market—the fourth largest natural gas market in Europe in 2016 —has been liberalized in line with European policies to allow consumers to easily switch their supplier, “[…] customers have shown themselves oddly reluctant to change providers once they’re set up with one.” . In fact, the annual external switching rate of residential gas customers barely topped 6.5% in 2016 . Residential consumers make up 40% of the gas market . So, introducing green differentiated biomethane-based gas products could bring innovation to a market where in 2014 the four biggest players had a cumulative share of 99% , where in the first quarter of 2018 alternative suppliers’ market share stood still at only 27%  and in which market concentration is rather high compared to other European countries . But are French consumers ready to buy biomethane-based gas products and would they be willing to pay a premium? What do they think about biogas in general and which product attributes of biomethane-based gas products do they value? These are crucial questions to which biomethane marketers need answers if they are to craft suitable strategies to develop the future biogas market in France. To our knowledge, no research on French consumers’ perceptions of biomethane-based gas products has been published. There have been surveys on renewables in which biogas plays a role, but in a representative survey from 2014, only 1% of the respondents named “biogas” or “methanization” as a potential source of renewable energy, compared to 61% who named wind power or photovoltaics . In a recent study on bio-based packaging, the perception of French consumers on biomethane-based packaging was analyzed  but this indirect use of renewable gas is different from a situation where a consumer choses to buy renewable gas for heating and cooking. As French consumers evidently have little familiarity with the potential of biogas, we undertook a research study to investigate how these consumers in fact perceive biogas and biomethane. The insights so obtained should benefit both producers of biogas and policy makers who aim to expand the contribution of biogas to the renewables energy market. RQ1: What do French consumers know about renewables and biogas/biomethane? RQ2: What are French consumers’ attitudes towards and conceptions of biogas/biomethane? RQ3: Which product features of biomethane-based gas products are attractive to French consumers and which are not? RQ4: Are French consumers ready to purchase a biomethane-based gas product and would they be willing to pay a premium for it? RQ5: How do consumers evaluate natural gas products with a carbon-offset feature in comparison to a gas product containing biomethane? While links between WTP for green energy and environmental awareness [36–41], between WTP and pro-environmental behavior [39, 40, 42–44] and between WTP and knowledge [38, 44–47] have been found in previous studies, we judged these to be of a second-order effect and chose to focus on those attributes that could factor directly into marketing campaigns and could most easily be used to guide energy policy. We are looking at French citizens primarily as potential consumers of biomethane-based products and not as voters or residents living near a biogas plant, i.e., we focus on market acceptance rather than socio-political acceptance or community acceptance  but incorporate more general research on socio-political acceptance of biogas to generate our categories [49–52]. We are well aware that WTP is a concept that is usually addressed with quantitative methods [26, 27], but the product attributes used in those studies may nevertheless be very helpful in a primarily qualitative study like our own. The interview guideline was developed in German and translated by a bilingual individual into French. It was subsequently checked by a native speaker of French and by the German principal investigator who also speaks French. After the first three interviews, small changes were made to improve understandability for our interview partners. Opinion of a carbon-emissions compensation (carbon offset) product currently sold in the market. To support our interviewees’ understanding of the topic, we used a figure with a graphical representation of the biogas value chain. We also used cards with each representing a different substrate (such as energy crops, intermediary crops) when asking interviewees to rank biogas substrates, and finally, we showed a card with a short product description when asking for their opinion on a carbon emissions compensation product. The latter was based on the text on the ENGIE website on which the product is sold . We interviewed 20 individuals in the south of France. They were recruited through the interviewers’ personal networks. In the last interviews, we had the impression that there were only very few new aspects and that we had arrived at the point of empirical saturation given our research questions and the goals of our study. The interviews took 53 min on average, ranging between 30 and 70 min. Although qualitative research does not aim at representative samples in a statistical sense, we tried to vary the demographic factors in our sample population; however, our interviewees are better educated than the average French citizen which may influence the results. Table 2 presents an overview of our interview partners. Would the results be different had we selected our interview partners from a different region in France? Proximity to biogas plants could be one factor causing different results. Looking at the map of biogas plants in France , we see that the density and the type of biogas plants vary throughout the country. There are regions with more biogas plants than the one where we carried out our interviews, e.g., around Sedan, but also regions with much less plants, e.g., between Orléans and Bourges. Therefore, the perception of biogas may differ between regions, but the region we chose is not exceptional. The diffusion of natural gas heating could be another factor driving different results. Natural gas for heating is used more in the north of France than in the south, and the average annual cost of heating in the PACA region is only about 80% of that in Champagne-Ardennes . But we made sure that our interviewees used natural gas as their heating source, and therefore, a low familiarity with natural gas heating should not distort our results. All interviews were taped and transcribed. Subsequently, they underwent a qualitative content analysis or text analysis [56, 57]. We used an iterative approach to develop our category system, building the first-level categories on our research questions and the main elements of the interview guideline . The categories on the second and third levels were then developed inductively out of the text. After creating short case summaries and discussing them among the research team, the first interviews were coded by all three researchers using consensual coding and MAXQDA software . This software supports, among others, qualitative content analysis by allowing, e.g., import of transcripts, marking of text parts, various coding, and visualization options. Subsequent interviews were coded by two and later by one researcher each. However, the MAXQDA file was presented to the other researchers and discussed, and amendments to the codings were made as appropriate. We fully recognize that the validity of an interview rests on the extent to which a respondent’s opinion is his or her own and not one based on input from the interviewer. As biogas is a topic unfamiliar to most interviewees, there was a real risk of the interviewees merely echoing explanations they had heard from the interviewers and also forming their views by taking cues from the interviewers. Moreover, interviewees might want to create or maintain a certain image of self  and have self-presentations concerns; therefore, social desirability is an issue . For that reason, we tried to haven an open eye for the interaction between interviewer and interviewee and how interviewers may co-create answers while analyzing the interview transcripts . Thus, we took great pains to identify and to code clearly whether an aspect was mentioned by the interviewees unprompted or whether it had been part of the interviewer’s prior explanation. All interviews were conducted in French, and the quotes from the interview we present here were translated by the authors. What do French consumers know about renewables and biogas/biomethane? As for knowledge of how biomethane might serve in the nation’s energy system, responses evinced a low level of awareness. Not even half the informants mentioned the use of biomethane in heat generation. Its use as a vehicle fuel or in electricity generation was mentioned even less often. Most respondents had acquired the little knowledge of biogas they did have from the media, with few having had personal experience either at home or during their vacations. Frequently, the interviewees emphasized their uncertainty and lack of knowledge about issues related to renewable energy. What are French consumers’ attitudes towards and conceptions of biogas/biomethane? The third category of potential disadvantages frequently mentioned was the price: Some consumers feared that the consumer price might be too high (interviews 1, 4, 5, 14). Issues linked to the production process that would typically be voiced by people in the vicinity of a biogas plant, such as odor or safety, were rarely mentioned. 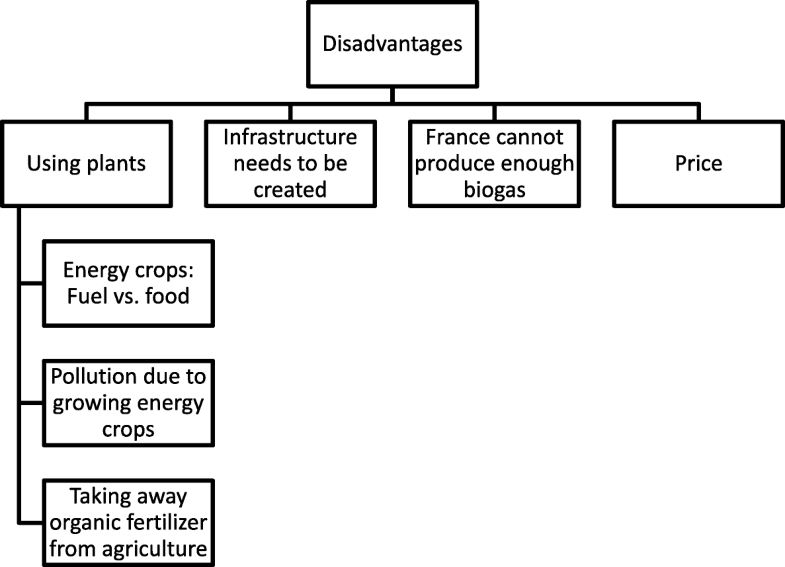 Figure 1 summarizes the most frequently mentioned disadvantages of biogas in general. This was taken from the part of the interview that came before we introduced specific biomethane-based products or product features. Apart from the efficient use of waste, environmental advantages also featured prominently in interview responses. These included the fact that biomethane is renewable and the fact that biogas production both consumes fewer natural resources and causes less pollution than conventional energy systems. A number of interviewees also expected cheaper energy prices from using biogas instead of natural gas or cheaper heat than they get from electricity (interviews 11, 14, 18). 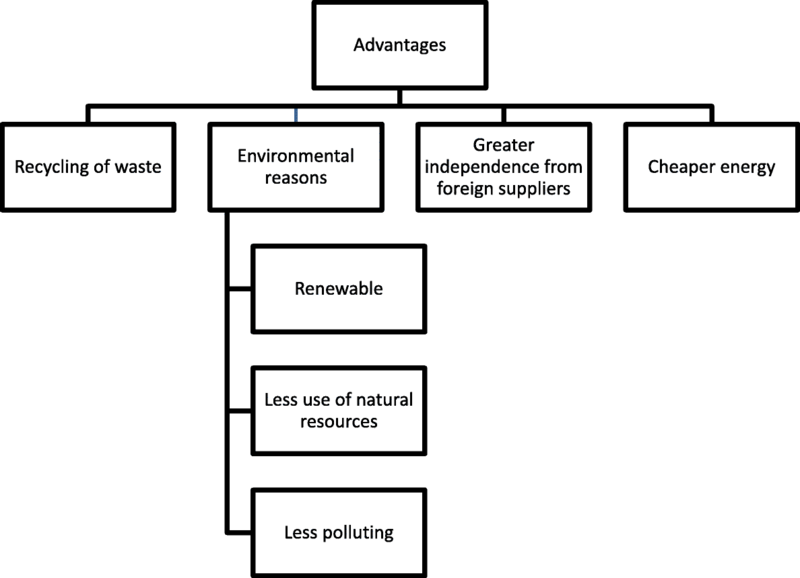 Figure 2 summarizes the most frequently mentioned advantages of biogas from the perspective of our interviewees. Two feelings were so frequently expressed in interviews that we decided to include them in our analysis. The first of these was suspicions about marketing and policy initiatives aimed at supporting the transition to renewable energy sources. We found such in 17 of the 20 interviews. Interviewees were suspicious of extra climate projects (6), of ecolabels used with carbon-offset-gas products (6), of ecolabels in general (3), and of the role of enterprises (3) and the state (3) with regard to the fight against climate change. This interviewee questioned whether biomethane or natural gas would in fact be delivered to the consumer’s home. Which product features of biomethane-based gas products are attractive for French consumers and which are not? Most interviewees (13) said they would want 100% biomethane in a biogas product, two indicated they wanted 25%, one 50%, and one could not decide between 60 and 100%. There was also one who said that the percentage did not matter. 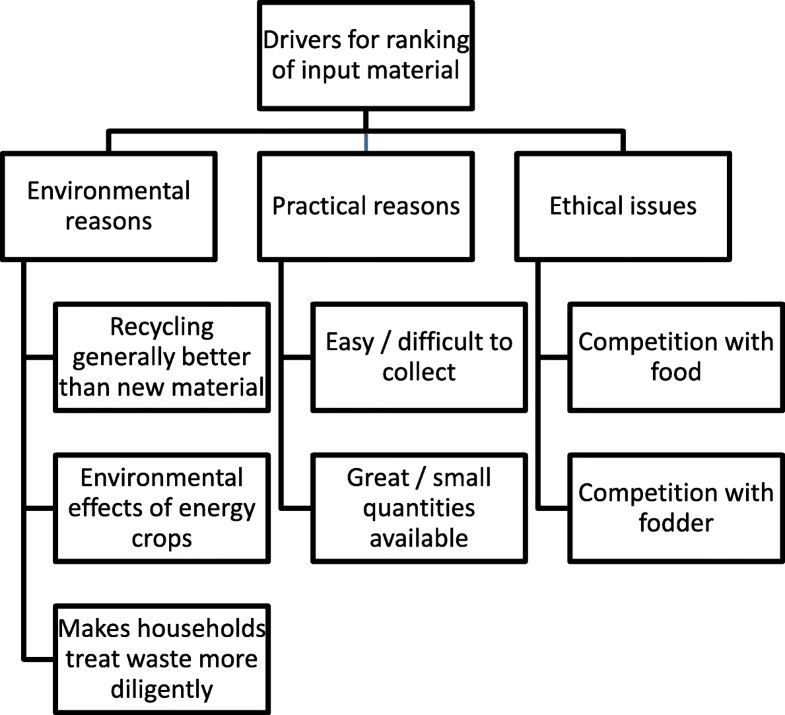 We presented our interviewees with four options (presented as cards) for substrates, i.e., input material for the biogas plant and asked them to rank them in terms of attractiveness, sometimes having to explain the substrates in more detail. Table 3 shows the number of respondents that ranked the listed substrate in the indicated position; for example, 11 respondents ranked “Agricultural Residues” as the most favorable, while 14 ranked “Energy Crops” as the least favorable. Assign a value of four points to a number one ranking, then values of three, two, and one point respectively to each lower ranking. Then, sum the product of ranking values and the number of respondents selecting that ranking position. So, for example, agricultural residues is scored at (11 × 4) + (6 × 3) + (2 × 2) + (0 × 1) = 66. Using this scale, agricultural residues are rated as most favorable, followed closely by biodegradable household waste (61). A considerable gap separates the top two from the third place intermediary crops (36), while energy crops like maize rank as the least attractive input material (27). But apart from the size, many consumers seemed to value a company that specializes in renewables. The vast majority of our interviewees valued products that carried an additional ecological benefit, for example, financing donations for environmental projects in developing countries. Some were really enthusiastic about it: “I find that super.” (interview 1) and “That’s great!” (interview 9). Informants felt that it was their responsibility as residents of a developed country to support such projects and that countries are interdependent. One also said that this shows the values prevalent in the company. One adjective that was mentioned by several interviewees was “cohérent” in the sense of integrity, coherence, and consistency, where corporate behavior and ethical behavior are consistent. 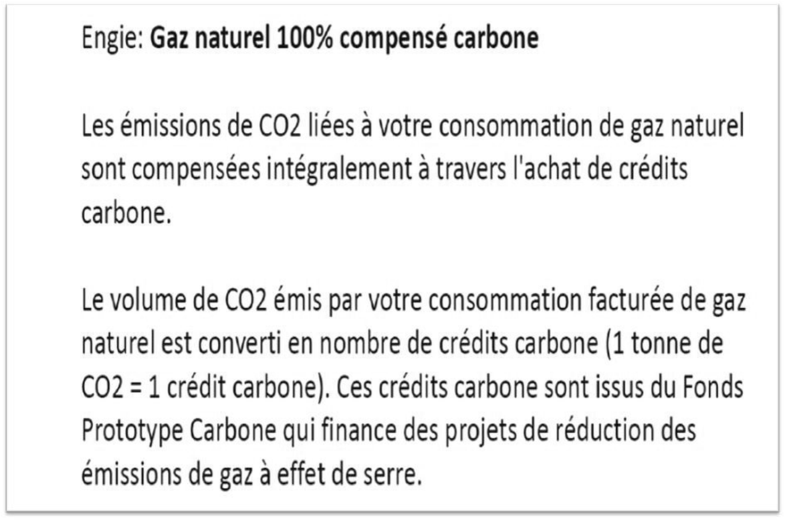 Would French consumers be ready to purchase a biomethane-based gas product and pay a premium for it? and asked if they would be willing to pay more for this product than for a natural gas product. Of our 20 interviewees, 15 were ready to pay more while five refused to do so. The reasons given by those who refused sometimes had to do with cognitive challenges, meaning they found the product too complicated or said that they knew too little about the subject. Two people said that it is the company’s responsibility to carry any additional expense; one cited lack of funds, while another would not purchase this product but would only consider one with a higher biomethane content. They explained that they found a price premium illogical, thinking that there would be no research on biomethane if it were more expensive and believing that biogas should be cheaper than natural gas because the costs of natural gas exploitation were saved. One said that the government should close the cost gap by subsidizing the product. Focusing responses on their willingness-to-pay a price premium, 11 interviewees indicated a willingness-to-pay up to 10% more, another four up to 20%, and only one was willing to pay 30% more. How do consumers evaluate a natural gas product with a carbon-offset feature to a gas product containing biomethane? As biomethane-based products probably compete with gas products that have a carbon-offset feature, we presented our interviewee with an example of the latter. The product is currently offered in the French gas market by Engie, the incumbent supplier. The CO2 emissions linked to your natural gas consumption are fully offset through the purchase of carbon credits. The volume of CO2 emitted by your invoiced natural gas consumption is converted into the number of carbon credits (1 t of CO2 = 1 carbon credit). These carbon credits come from the Prototype Carbon Fund, which finances projects to reduce greenhouse gas emissions. The majority also had the impression that the proceeds from the carbon credits would go to financing emission reduction projects. One interviewee who apparently understood the system well pointed out that the price for CO2 emission rights was too low to be an incentive for investing into environmental protection. Another interviewee said that the effect of such a product would be too indirect, probably as compared to a biomethane product. This study represents an initial exploration into French consumer awareness of and attitudes towards biogas/biomethane products. We also sought to identify features of biomethane-based gas products that French consumers find attractive and to evaluate whether these consumers would be willing to purchase a biomethane-based gas product at a premium. Lastly, our aim was to assess how consumers value natural gas products with a carbon-offset feature in comparison to gas products containing biomethane. We found that consumers have little knowledge about biogas, a finding that mirrors the results of an earlier survey of consumer attitudes where only 1% of the respondents could, unprompted, name biogas as a renewable energy source whereas 61% were able to identify wind . Consumer attitudes towards biogas included worries about practical issues like price and whether heaters at home would have to be changed to operate on biomethane. Consumers also questioned France’s capability of producing enough biogas to meet the country’s needs. Concerns frequently heard in other countries were not, however, expressed by our French respondents. In Germany, for example, citizens tend to focus on odor problems and on other environmental issues, like GMOs, biodiversity, and changes to the landscape . In Switzerland, smell perception, information, and trust play a decisive role . Also, Schumacher and Schultmann in their comparative study on local acceptance of biogas found much higher levels of willingness to oppose a biogas plant in the vicinity among German than among French respondents . The fact that our French interview partners did not mention negative local effects like these may be due to the small number of biogas plants in France and the fact that little media attention has been focused on them. Policy makers should not, however, take this lack of mention as evidence that these concerns will not surface in the future. We did find that respondents had concerns about using crops for producing biogas, echoing the heated fuel-vs-food debate in Germany . It is surprising that French consumers would mention energy crops so often, given that the feed-in-tariff mechanism of France’s energy policy does not support the use of energy crops  and French biogas plants hardly use any energy crops. So either French consumers were aware of the controversy in Germany or they were perhaps influenced by our presenting of energy crops as a substrate option. In either case, policy makers can anticipate louder voices in the fuel-vs-food debate as the French biogas market develops. When questioned about the advantages of biogas, respondents most frequently mentioned those advantages enjoyed by countries such as Germany . Surprisingly, though, consumers voiced expectations that biogas would lower the price of a gas product. This likely reflects the underdeveloped biogas market in France and provides further evidence for the low level of consumer knowledge about biogas production and the biogas value chain. This lack of knowledge may have contributed to the widespread mistrust expressed by our respondents when questioned about the environmental benefits of biogas or the efficacy of carbon-offset mechanisms. Respondents were skeptical of the climate effects achieved through projects financed by purchase of biomethane products, or simply suspicious of facts unknown to them. Given that biomethane-based gas products are credence goods, i.e., goods for which the consumer cannot verify environmental claims , high levels of perceived risk work in concert with low levels of factual knowledge to produce extreme reluctance on the part of a consumer to make that critical purchasing decision. The impact of perceived risk in consumer decision making has been widely studied [65–72] and will have to be accounted for by both marketers and policy makers in future efforts to build out the French biogas market. Regarding the environmental benefits of biomethane, there are a number of life cycle analysis (LCA) studies. Compared to direct combustion on-site, upgrading biomethane and using it as a vehicle fuel seems to be environmentally advantageous . Not surprisingly, biomethane from organic waste and sewage sludge also is rated superior compared to fossil fuels [74–76]. However, there are some critical factors like feedstock type, fugitive methane emissions, digestate management, and fossil fuel comparators which can negatively affect the environmental performance of biomethane [76–78]. In the case of using energy crops such as maize for producing biomethane, the LCA looks much less favorable , although still mostly positive compared to fossil fuels , but can even yield negative results compared to natural gas . Therefore, consumers’ suspicion regarding climate effects and other environmental benefits is not generally supported by LCA research. The preferences consumers stated for different attributes of biomethane products are mostly in line with research on green electricity in other countries. In Germany, using maize for producing biogas is widely criticized in the media as well as by consumers [49, 50], and we found our French respondents to be similarly critical of energy crops. That our respondents preferred local sources and smaller providers is also in line with existing research on green electricity [82–84] and can likely be counted on to affect consumer response to energy policy initiatives. Our findings regarding ecolabels do not correspond with the research on the effect of ecolabels in the green energy market. While our interviewees were rather positive about ecolabels, research results in other regions have been mixed. A number of studies have shown labels to be of minor [83, 85] or even no importance to consumers , while others have found both positive and negative effects . One potential reason for our findings is the low level of knowledge and the resulting high level of uncertainty affecting the French consumers in our study. Labels in this situation can provide welcome assurance. Policy makers and marketers may find that effective ecolabeling practices depend heavily on the specific renewables product and where it is marketed. A key question in any renewable energy discussion becomes consumer willingness-to-pay. The price premiums our interviewees stated they were willing to pay were mostly below 20%; only one stated a willingness-to-pay up to 30%, while 11 gave 10%, and four 20% as their numbers. In the markets for green electricity, the majority of the studies have found premiums between 3% and 19% . However, our results are at best tentative, since the hypothetical product we presented for purchase contained only 10% biomethane, and many of the green electricity products under review in past studies contained 100% green electricity. The fact that over half our interviewee mentioned 10% may also be the result of an anchoring effect  created by mention of the 10% biomethane content. It is surprising that consumers in many cases rejected carbon-offset products. Carbon-offset programs are a widely used instrument in renewable energy policy, featured in many countries, including Germany, the UK, Austria, and France. That our interviewees rejected such policy instruments may stem from the general mistrust they harbored or simply the skepticism that often accompanies public policy initiatives. Policy makers can take our findings as an early indicator that French consumers are ready to purchase green gas products based on biomethane, so these products should have a role to play in contributing to the energy transition in France. Policies that support injection of biomethane into the existing gas grid offer perhaps the most direct way of integrating green gas into the nation’s energy system; households can then choose a more environmentally friendly heating option yet still retain the convenience of existing installations. Policy makers can promote biomethane to grid injection by removing current financial obstacles that hinder it. Permitting biomethane producers to keep the full proceeds from the sale of GOO in the heating market would stimulate development of the GOO market and so make investments for grid connection, including production and upgrading costs, more attractive to producers. However, if we are taking the perspective of the French government and its ambitious goals for biomethane, for biomethane-based gas products to gain widespread application in the French market, consumers’ low level of knowledge and high level of mistrust must be overcome. The French government could set minimum standards for gas products that providers want to sell as green. In the UK, such standards are already in place for green electricity . Policy makers and other actors in the public sector as well as industry associations such as Club Biogaz—ATEE and the Syndicat des Énergies Renouvelables could also help by sponsoring educational and public relations campaigns. Recall that in a survey of renewable sources , only 1% of the respondents were able to identify biogas as one such, while 61% could identify wind energy. However, we do not advocate the view that more information or knowledge on the side of the consumer will necessarily lead to a more positive attitude towards biomethane, a view that has, in a broader context of public perceptions of science and technology, become notorious as the “deficit model” [90, 91]. It may very well be that with an increasing level of consumer knowledge biomethane continues to be seen critical, albeit maybe for other reasons. In Germany, promotion activities for biogas carried out by the German Biogas Association which has even hired a popular former athlete as their industry ambassador  and by the semipublic organization Zukunft Erdgas GmbH which runs campaigns for biogas  have not resulted in overturning the widespread criticism of biogas in the German public. But the higher level of knowledge would allow consumers at least a better-founded evaluation of biomethane-based products, and consumers could make an informed decision whether biogas can become an environmentally friendly alternative in the heating market and thus contribute to the country’s attaining its policy goals for the national energy transition. For French gas providers, biomethane-based products represent an intriguing option to de-commoditize their offer, gain competitive advantage, and contribute to the national energy transition. For many households in France, a gas product with a share of biomethane could be a way towards a more environmentally friendly heating system without having to change the heating technology used in distribution or in the home. In other countries, like Germany , the UK , Belgium , or Austria , consumers can already purchase green gas products based on biomethane. However, comparison portals, e.g., in the UK and Austria, do not always help customers find green gas products because they do not always bring green attributes out in their search engines. French biomethane producers would do well to remedy this oversight and to sponsor comparison web portals that bring out the attributes this study has shown consumers respond to. This would include fields to flag biomethane coming from local plants, biomethane coming from small providers, biomethane generated from household waste or agricultural residues, and biomethane with extra climate benefits attached to the purchase. These attributes represent differentiators that producers could exploit to position their products over the competition. They can be combined with labeling approaches that quickly communicate the respective value proposition to the consumer. Gas suppliers will also need to address the low levels of knowledge about biomethane, as well as the high degree of risk that consumers perceive, albeit our earlier caveat about the deficit model applies here as well. Based on the results from this study, French consumers should respond positively to ecolabeling, which might help mitigate such risk. But perceived risk, also present in other environmentally friendly products , is a challenge in product marketing. Marketers are called on to adopt trust-building strategies. These include creating a strong brand with a sterling reputation, giving clear information to consumers about a product’s ecological impact, and providing transparency in any premium pricing strategy . Independent third party certification agencies, as used for green electricity  and partly for green gas in Germany , could also serve to build consumer trust. Still, pricing may prove one of the most difficult parts of a marketing strategy for biomethane aimed at French consumers. While our respondents wanted a high percentage of biomethane in the product, they often did not understand why biomethane should be more expensive than natural gas. This may have to do with the fact that biogas is generated from waste, so consumers assume it comes with no raw material cost. But consumers’ lack of understanding of the biogas value chain also leads them to underestimate production costs. Furthermore, few green energy products exist in the French market, which means consumers have little experience making green energy purchasing decisions and even less in understanding what they are paying for. At work is the fact that low prices for green electricity have led customers to believe they can save money and do something good for the environment at the same time . Compounding this perception is the fact that providers of green electricity have often failed to provide detailed and convincing evidence of their products’ positive environmental impact . However, we see this as offering an opportunity to French marketers. Given that the green gas market in France is still underdeveloped, French marketers can capitalize on the mistakes made by seasoned marketers of green electricity. They can do this by providing clear evidence of how green gas benefits the nation and the environment, while positioning price premiums in the consumer’s mind as civic contributions to France’s energy transition. Effective public relations efforts will need to be more than promotional; they will need to be educational as well. Biomethane marketing campaigns can find guidance in the results of our study. Consumers should respond positively to biomethane produced from household waste and agricultural residues. Moreover, linking a product to local sources, i.e., selling biomethane locally, offering an ecolabel, and upgrading the product through an extra climate protection effect by financing climate protection projects, especially those in developing countries, will also increase the product’s chance of succeeding in the market. The fact that our results point to consumers preferring small specialized suppliers could prompt incumbents to establish new specialized brands. Such a strategy, while responding to consumer preferences, however, bears the risk of triggering consumer suspicions. A strategy of transparency would permit the consumers to inherit “reliability” from the incumbent while still purchasing “green” in the new brand. Our results concerning carbon-offset products indicate that this type of “greening” a gas product might be cost-effective but does not meet with positive reactions in the market. Marketers who are committed to such a product need to find a way to convince consumers of the genuine green value of the approach. Overall, however, offering a biomethane-based product is likely to encounter less resistance from the consumer. With its qualitative design, this study cannot draw statistically robust conclusions about willingness-to-pay or the quantitative value of specific product attributes. Moreover, our results focus on interviews from a single region in the south of France where the gas consumption per household is lower than in the north. Based on the indications we have found, a quantitative survey of consumer preferences and a choice experiment to assess willingness-to-pay more precisely could be promising avenues for further research. For such studies to have real merit, however, consumers must have more familiarity with choices in the real world; otherwise, there can emerge serious problems associated with research based on hypothetical decisions [47, 99–103]. At the current level of knowledge and familiarity of French consumers with biogas, such a study would probably not do much more than give providers an idea of which product attributes are most highly valued by consumers in various market segments. When performing such a study, it should not solely focus on biomethane but embed this topic into knowledge and perceptions of renewables in France in general. Another interesting question for such a survey would be whether the attitudes of consumers who live in the vicinity of a biogas plants are different from those who do not have any personal experience with biogas. The issue of perceived risk in biomethane products could also be studied in more detail, drawing on the general literature on perceived risk of consumer products . Finally, the reasons for the rejection of carbon-offset products could be further explored based on studies of other carbon-offset products [104, 105]. The authors would like to thank Nuertingen-Geislingen University for funding the underlying research for this article, the Ministry of Science, Research and Art of the state of Baden-Württemberg, Germany (MWK), for funding the article processing charges and Charles Duquette for his editorial review. The investigations that form the basis for this article were carried out without external funding. The datasets generated and analyzed during the current study are not publicly available due to data protection but are available from the corresponding author on reasonable request. CH led the project at HfWU, did the literature review, developed the interview guideline, participated in a part of the interviews, and prepared the manuscript. SC and JL carried out the interviews, contributed to the critical reading of the manuscript, and provided input for the final version. All authors participated in data analysis and edited and approved the final manuscript. CH is a professor and director of the “Institute for International Research on Sustainable Management and Renewable Energy” (ISR) at HfWU. SC and JL are both former students of Institut d’Études Politiques d’Aix-en-Provence, where the interviews and the subsequent analysis were carried out. SC is a recent graduate of Institut d’Etudes Politiques de Rennes and JL is a graduate student at ESCP Europe Business School. Ethics approval is not applicable; informed consent was obtained from all individual participants included in the study.